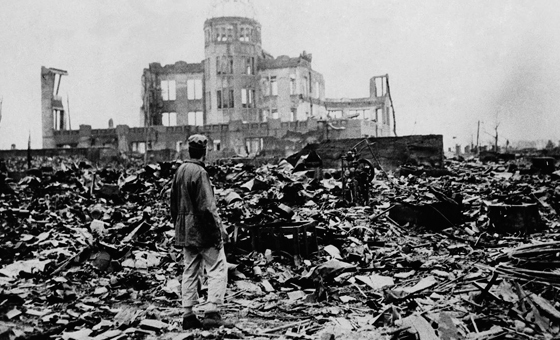 Today marks 70 years since the US dropped the nuke on Hiroshima, killing more than 140,000 people, spreading the most devastating horror that world has ever seen. A truly dark day for humanity, war is always unfair for the innocent people who die in the name of false messianic leaders and their nonsense ideologies. 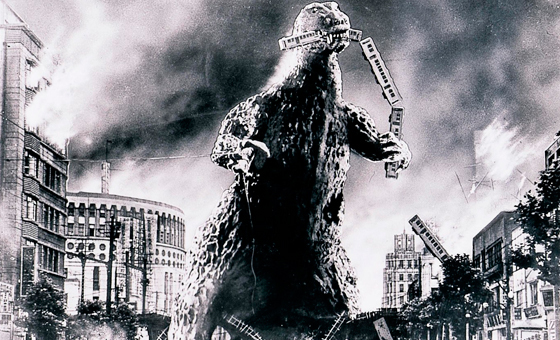 Professor Peter Winn Kirby of Oxford wrote a thoughtful and painfully essay about how the original Godzilla movies, were not just campy horror flicks, but true fictional dramatizations of Japan’s worst fear: radioactive contamination. There, where words are not enough to describe the deepest emotions, traumas and feelings that remain hidden inside the collective mind of mankind, symbols and mythology emerge to tell the stories that nobody wants to live but everybody wants to tell. Godzilla (Gojira) is a 1954 Japanese science fiction film directed by Ishiro Honda. It was released only nine years after the atomic bombing of Hiroshima. The movie focuses on Gojira, a prehistoric monster that was resurrected by repeated nuclear tests in the Pacific Ocean, who attacks Japan and brings back the horrors of nuclear devastation. Godzilla was the beginning of a revolution in a field that until that day, was dominated mostly by funny and silly American Saturday morning cartoons. 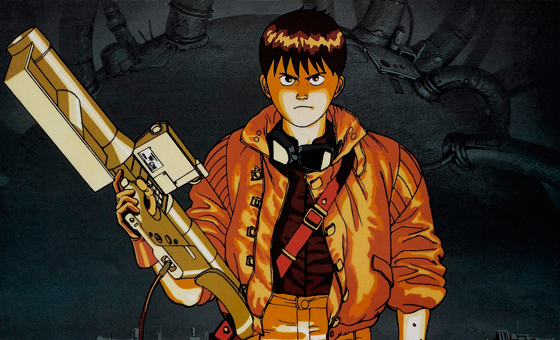 But the giant monster produced such impact in the artists and animators of the time, that new stories began to appear, giving birth to a whole new animation genre: The Anime. Even though, between 1907 and 1911, the first Japanese animated short film Katsudo Shashin, was produced, it was until 1958 when the first anime feature film was released: The Tale of the White Serpent. The atomic obsession of Japanese creators has produced some of the best science fiction animated films and series ever made, in 1963 appeared Astro Boy, an anime TV Series based on the popular manga series written and illustrated by Osamu Tezuka. 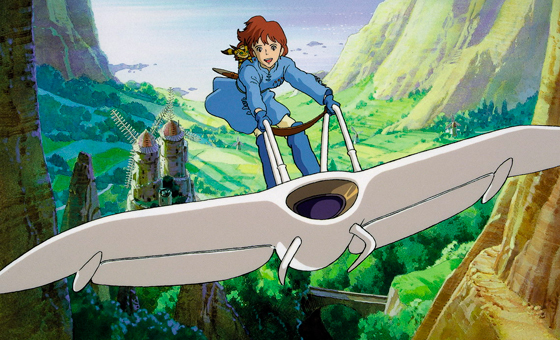 Other nuclear apocalyptic anime films are the awesome Spaceship Yamato (1974), the breath taking Royal Space Force: The Wings of Honneamise (1987) and my favorite anime film of all times Nausicaa (1988) by Hayao Miyazaki. 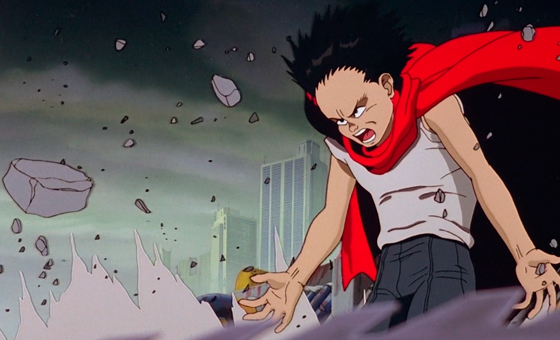 But the reaching point of Japanese nuclear nightmares, is the mind blowing anime Akira appeared in 1988, telling the story of genetic experimentation which results in innocent children becoming living atomic bombs. 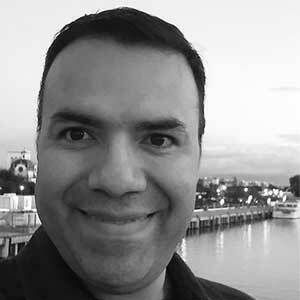 Carl Jung says that when one person has anxieties, he may have nightmares that personify fears as a monster. When a whole nation is traumatized, their nightmares manifest as myth. In the modern world, that impulse emerges through the sci-fi horror sub-genre. I just can imagine what the people of Japan went through. But one thing I know, a horror like Hiroshima, Nagasaki, Nanking or the Holocaust, cannot be repeated never again. This post is dedicated to the memory and everlasting rest of all the brave and innocent souls that were sacrificed in the World War Second.